Ray Allen broke Reggie Miller’s NBA record for most 3-pointers in a career. Allen now has more than 2,800 3-pointers in his illustrious and soon-to-be Hall-of-Fame career. However, despite having the distinction of being the NBA’s all-time 3-point king, is Ray Allen the best pure shooter in the game today? Moreover, where does Allen rank among the all-time great pure shooters in NBA history? There’s sniper from the Bay Area who may have an argument. Let the debate begin. It is unfortunate that Petrovic died at 28. The basketball world only saw a short trailer of the Croatian sensation’s made-for-TV career. Petrovic was a natural-born shooter and his impact in the NBA, even though it was shortlived, was undeniable. His game blossomed after he was traded from Portland to New Jersey, instantly becoming the Nets best scorer. His range was unlimited, and he oozed with remarkable confidence for someone who was totally out of his element. During the 1992 Barcelona Olympics, Petrovic was the only player who stood up to Michael Jordan, Scottie Pippen and the rest of the U.S. Dream Team. You want “Minute Rice” or “Instant Rice?” That was the question posed by Glen Rice to teammate John Salley before the start of the 2000 NBA Finals. It’s not boasting when you own one of the sport’s deadliest jump shots. The man used to be known as G-Money was a pure gunner who never took a shot he didn’t like. Once Rice got off the team bus, he was open. He was an absolute sniper. His range was unlimited and his form was almost perfect. It was a stunner whenever he missed because it seemed like every shot he took looked good coming out of his fingertips. Rice averaged more than 20 points per game six times during his career, and drained 1,559 3-pointers. Stojakovic was drafted in the first round in the 1996 draft by the Sacramento Kings, one of Geoff Petrie’s major draft gems. His 1,760 3-pointers ranks in the top five all-time and is a 40% shooter from behind the arc for his career. Peja’s incredible shooting was one of the reasons the Kings were one of the best scoring teams in the NBA from 2001-05. He’s made more than 100 threes 10 times in his career – 240 in 2003-04 with the Kings, 231 in 2007-08 with the Hornets. 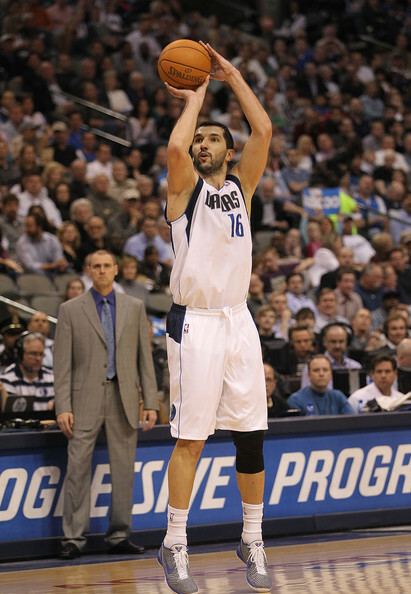 He’s currently a key contributor to the Dallas Mavericks as a sniper off the bench. At 6-foot-9, Stojakovic is a shooting guard in a forward’s body, which allowed him to shoot over any defender. He loved to drift to his left side to set up his jump shot, a step-back move that became his signature shot. 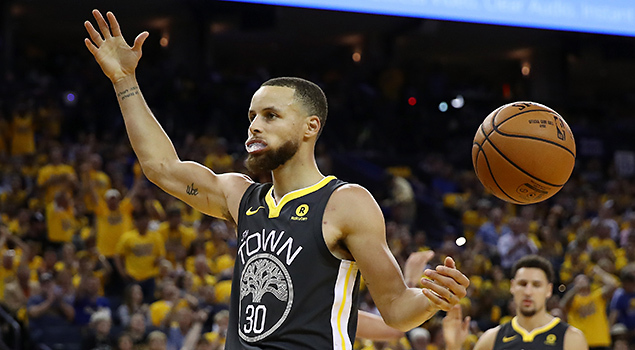 There are only three players in the NBA’s top-10 list who shot the 3-ball better than 40 percent: Steph Curry (43%), Ray Allen (40%), and Kyle Korver (43%). Korver has made more than 2,200 threes in his 15-plus NBA career. Korver’s best years came with the Atlanta Hawks. He set a then-NBA record by hitting a 3-ball in 127 consecutive games until Curry obliterated that mark. Korver doesn’t need a lot of space to get his shot off, and he is nearly automatic on the free-throw line. Korver led the NBA in 3-point percentage four times and holds the record for highest 3-point percentage (53% in 2009-10). The former collegiate star from St. John’s University wasn’t fast nor flashy and wasn’t blessed with great athleticism. But he made his living by perfecting a deadly baseline jump shot, a smooth left-handed stroke that would enable him to last 16 years in the NBA and amassed almost 18,00 points. A member of Golden State’s formidable trio “Run TMC,” Mullin averaged more than 20 points six times in his career and shot 86% from the free throw line. When the 1992 Dream Team was being constructed, Mullin was called to provide the greatest team in basketball history some much-needed outside shooting. He averaged 12.9 points, which was fourth on the Dream Team. Anyone who doubts the son of former Los Angeles Lakers standout Mychal Thompson belongs on this list should watch Game 6 of the 2016 Western Conference playoff series between Golden State and Oklahoma City. That was the night when Klay almost single-handedly kept the Warriors’ season alive with a shooting exhibition for the ages. Klay swished an NBA playoff record 11 treys and scored 41 points in an elimination game on the road. The out-of-this-world performance cemented Thompson’s place as one of the game’s best long-range shooters. Chris Webber said it best: “All heart and will.” In December 2016, Thompson did something that may never be duplicated. He scored 61 points on just 11 dribbles and held the ball for just 90 seconds. Talk about efficient. Most Indiana Pacers fans were scratching their heads when Miller was chosen by the team in the 1987 NBA draft, especially when Indiana’s favorite son, Steve Alford, was still on the board. Well, more than 25,000 points and 2,560 3-point shots later, the Pacers were left satisfied with their pick. Miller basically invented the art of running off defenders on screens. To do so, you had to be in tremendous physical condition, which he was. Miller worked extremely hard at his craft. He was always one of the first players in the gym shooting jump shots. He also was one of the league’s best trash talkers, and he backed up his big talk more often than not (see Reggie Miller v. Spike Lee at Madison Square Garden, 1994 NBA playoffs). In terms off work ethic, very few in the game has worked harder than Ray Allen. Even during the twilight of his career, Allen remained one of the best-conditioned athletes and never seemed to run out of gas. Allen had incredible endurance and leg strength. 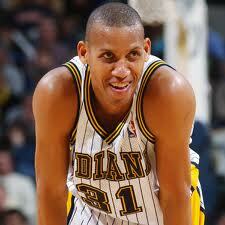 Reggie Miller and Richard Hamilton were extremely fit during their primes, but Ray Allen blows both of them away. Allen has taken the art of running off screens from Miller and enhanced it with his own style. Allen also has a unique shooting stroke because his release is uncanny and hard to teach. He may have one of the quickest shots in the sport, a shot so smooth and compact that it is almost perfect. The defining moment of Allen’s NBA career came in the closing moments of Game 6 of the 2013 NBA Finals as a member of the Miami Heat. Allen sent the game into overtime by knocking down a corner 3-pointer with 5.2 seconds left in regulation. That 3-pointer changed the course of history. It propelled the Heat to their second straight championship, while denying Tim Duncan and the Spurs a title. In terms of technique or statistical achievement, Bird is not on par with his constituents. For his career, Bird was only a 37% shooter from 3-pointer range and never made more than 98 in one season. His career total of 649 doesn’t even crack the NBA’s top 100. Heck, J.R. Rider (667), Rodney Rogers (690) and George McCloud (920) made more threes than Bird. However, when the stakes are at its highest and the lights are at its brightest, very few can compare with Bird. Larry Legend saved some of his best shots during the postseason, helping the Celtics win three titles in 1980s. Adding to his legendary legacy, Bird was also legendary during All-Star Weekend. He won the 3-point contest three straight years. One time he didn’t bother to take off his warm-up jacket. That’s Larry Bird for you. He won’t wow you with stats or amazing highlight plays, but he is a pure assassin when it’s money time. Wardell Stephen Curry is redefining shooting guard position. Yes, folks. He’s really a shooting guard masking as a point guard. The son of former NBA sharpshooter Dell Curry could very well be the greatest basketball sniper we’ve ever seen. His resume speaks for itself. He holds the record for most 3-pointers made in a single season (402), and he has led the NBA in 3-pointers made five times. He also has remarkable range and accuracy. He can pull up from 25-feet or beyond with relative ease. He has never shot below 42% in a season from behind the arc and he shot 45% during his record-breaking season in 2015-16 when he shattered his own mark by hitting 116 more threes. NBA legend Jerry West said Curry is changing the way we look at the game. Throughout the history of basketball, the game was played inside-out. Winning the battle under the basket usually translates into championships. But Curry and the Golden State Warriors are shattering that mold. The 3-point shot has gone from a desperation move to a powerful weapon. Today’s basketball analytics say 3 beats 2 every time, and more and more teams are subscribing to that strategy. Steph has not only become the face of the NBA but he is setting the bar for a new generation of ballers. Any list that doesn’t include Fred Brown is worthless. I love Bird but Brown was the best long range bomber I ever saw. If the 3 point shot had been around when he was in the NBA records would have been set that would still be around. Downtown was a terrific shooter. Gorgeous jumper. Yep. They missed Dell Curry too. Jerry West, Rick Barry. Somebody didn’t do their homework. There were better shooters than the players on this list. Larry Bird was a great shooter, but his not the best. Number one could be Kobe if he took smarter shots. Best shooter of all-time is Downtown Freddy Brown. He had range and high accuracy. Terrific list. I cannot argue Barry, West or Brown. All truly belong. Guys like Jerry West, Rick Barry and even Dirk Nowitzki are not classified as “pure shooters” because they did most of their scoring off the dribble. Fred Brown was a terrific shooter, but he didn’t play in enough big playoff games to knock off any of the guys on the list. Nash is a very good shooter, but he is a point guard and not a pure shooter. This is a list of the PUREST SHOOTERS. That means the guys that came off their screens and drained whatever was NECESSARY for their team to win. If you want to argue shooters with best range, best accuracy, etc… Make your own damn list. This is pretty spot on. Well done. Jeff Hornacek?? ?… Where is the love? I like the list. Very well done, but would like to see Steve Nash on it. He is one of the most deadly shooters in NBA history. The fact that he is a pass first point guard shouldn’t eliminate him from this list. Actually, Larry Bird entered the 3-point shootout FOUR times, and won three times. He won in 1986, 1987, and 1988 but lost in 1990 to Craig Hodges. And how can you not have Dell Curry, Jeff Hornacek, Steve Kerr? They were all certainly better shooters than Danny Ainge. Danny Ainge is nowhere near the top ten as a pure shooter or scorer or even a shooting guard. Rolando blackman, Craig Hodges, Joe Dumars, and a lot of others were much better shooters than Ainge. I can even name guys on Ainges own teams who were better pure shooters. This list is good because it recognizes great pure shooters like Ray Allen and Reggie Miller, but Danny Ainge on this list is a joke. Hodges was great in contests, not so great in games. Well, pretty good at Milw. Fair at best later on. Also, I disagree with your definition of a pure shooter. A pure shooter is someone who is almost guaranteed to knock down an open outside shot, not necessarily involving a screen. Many great pure shooters were guys who would just park themselves in the perimeter, and wait for a drive and kick, or a double teamed center to get them the ball, but what they all have in common is if they’re open, you would be surprised if they didn’t make the shot. UHHHHHH HELLO I THUNK WE ALL FOR GETTING DEMBKE MUTUMBO!!!!! Oh wait I thought this was the biggest shlong top 10 in the nba. If that we’re the case Larry Bird would be dead last … He was hung like a peanut… At least that’s what Magic Johson told me they shared many bath houses in in Barcelona back when the dream team was at its finest. Steve Kerr was a specialist, same w/Craig Hodges. A guy needs to take some volume of shots to qualify. Yes, Houston and Hornacek deserve a mention. Glad to see Peja recognized, very underrated. Mark Price, Walter Davis and George Gervin are my top choices. can become a pure shooter and scorer. Danny Ainge definitely deserves a place. He took a large volume of 3s and big shots and was the first person to reach 1000 3pts made. Vinnie Johnson& Andrew Toney were too inconsistent to be all time greats, but when they were on, they were untouchable. Pete Maravich is often forgotten because he was injured early in his pro career. In college he was unbelievable. No help, and he scored 44+ a game for his CAREER! Most of them were from downtown, and no 3 point shot. Someone once went back and studied his game films and figured out that he would have scored 57 points a game if they had a three point line. For his entire CAREER!!! Think about that, really. Think about it. This wasn’t Wilt shooting from 2ft over guys 8 inches shorter. Amazing !! Wheres jerry west, steve nash, and dan majerle? You got Reggie Miller and no Steve Kerr? Son, Kerr was the best spot-up shooter of all time. This is not something that’s debatable, check the historical record. You need to take a step back and really think about whether or not you should be covering a sport you clearly don’t know as well as you think you do. Drazen Petrovic is the king and the biggest shooter that ever was born. World B. Free, who took pride in his long range ability long before there was a 3 point line. Derek Harper, Joe Dumars, and Rex Chapman might be other guys you’d want to consider. Its a good list….. Out of the guys I’ve seen from the 80’s on. I would put Rice in the top 3 with Bird, and Mullen…. I considered Miller a swing shooter, not a catch and shoot guy with effortless form… The “Rifle Man” had a nice stroke, when I think about “Pure” shooters. Where’s Tracy McGrady on this list? I’m disappointed. What about Ginobal, Korver, and Stockton? People don’t know what a pure shooter means! Pure Shooter : Player who can shoot anywhere at anytime. The best ive seen is Pete Maravich ! Guys that need screens/pics or stand stationary to get there shot made doesn’t count as pure shooting!! !